Like the previous "The Unofficial 2017 Halloween MMV Event (personal)! 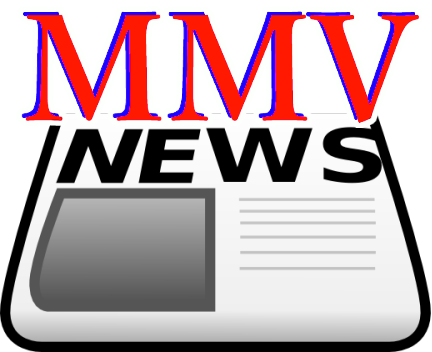 ", this 2017 Christmas MMV Event is also an unofficial event. Nobody can do MMV Event jobs better than volzzilla and Adminbot, I just merely try to follow their style with my limited skills. 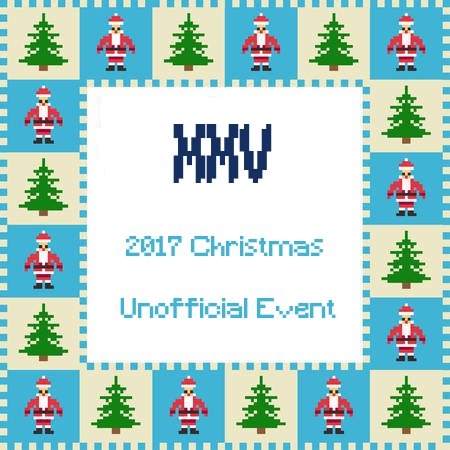 Well, I will try my best to try to hold this "The Unofficial 2017 Christmas MMV Event", and here I must thank any MMV'ers who are helping me out very much! Let us begin with Atrocitus by skhsato123 from EGYPT! Atrocitus is the red lantern super villain Atrocitus in DC comics! OldGamer and JonKK and Mulambo surprise us with a original 3D MUGEN full game -- SUPER CRANKY FIGHTERS 2! Be sure to get the New Update Patch too, to enjoy more fun of that! Varia the Hunter aka the Pioneer in XNALara-to-MUGEN once again brings his masterpiece to all of us! Wholly Molly a double MUGEN releases -- Optimus Prime & Samus Reloaded! Our creative MMV Team Member, bam77, wants to show us his awesome Doomsday DC comic MUGEN WIP! Our talented MMV Team Member, gartanham, with skhsato123, carpa, shinning, and brucewaynehas, have made a cool edit of General Zod! Do you want a modern styled Catwoman? ghost_rider has edited Zvitor's Catwoman for this 2017 Christmas! Pikachu's master Ash Ketchum has just been updated by Andywho! Looks like the Halloween mood is extended to this Christmas! Meet a very nice 2D Michael Myers by CARNAGE777 in your MUGEN game now! 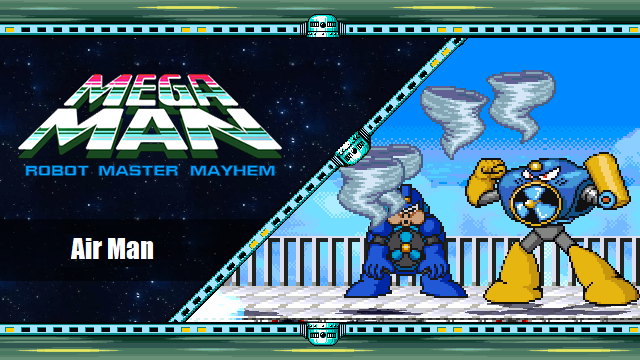 laspacho, The Robot Master Mayhem Team, and IMT have finished their awesome "Megaman Robot Master Mayhem" MUGEN full game! 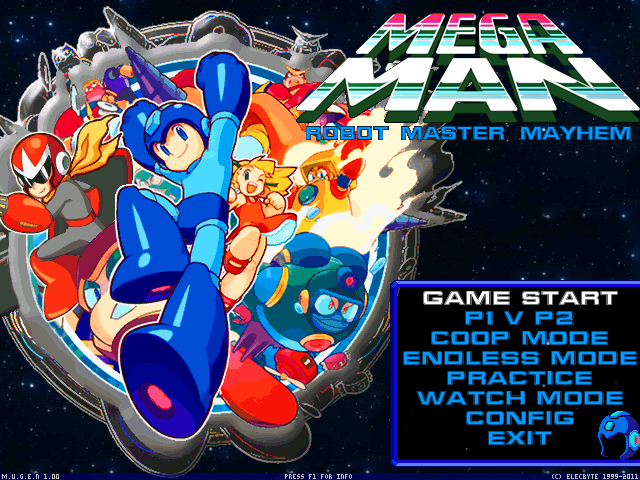 It's time to use your favorite MegaMan to do justice against Dr. Wily's evil plan! 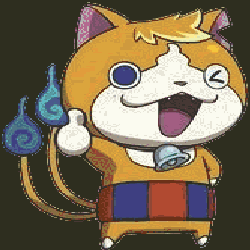 Tomnyan, a Yokai Watch character who has powers of some other yo-kai watches, has been mugenized by Mega_Man! Nathan Spencer, the hero in Bionic Commando, has just been fully 2Dimensionized and mugenized by Blade! 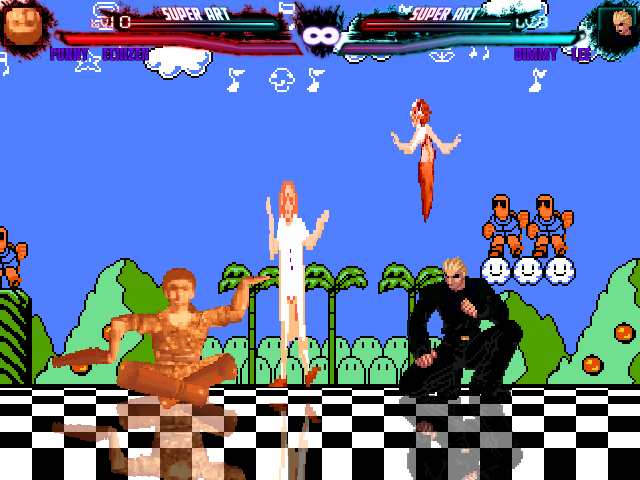 Albert Wesker, the ultimate bad guy in Resident Evil, has just been fully 2Dimensionized and mugenized by Blade! Say "whoa!" to LESSARD's Eddy Gordo MUGEN WIP Christmas update! O Ilusionista has just revamped a Roll with a cool "Power Sets" to bring you a whole new RMM experience in MUGEN! 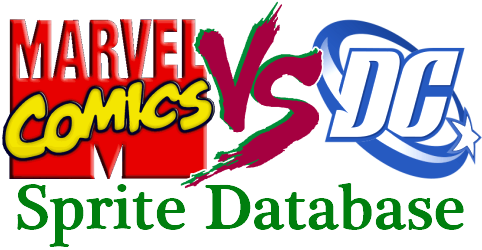 O Ilusionista has just revamped a Snake Man with a cool "Power Sets" to bring you a whole new RMM experience in MUGEN! O Ilusionista has just revamped a Fire Man with a cool "Power Sets" to bring you a whole new RMM experience in MUGEN! If you are a Hitman fan then you need to take a look at the Agent 47 by Trololo and ParaDox MUGEN WIP Christmas update! 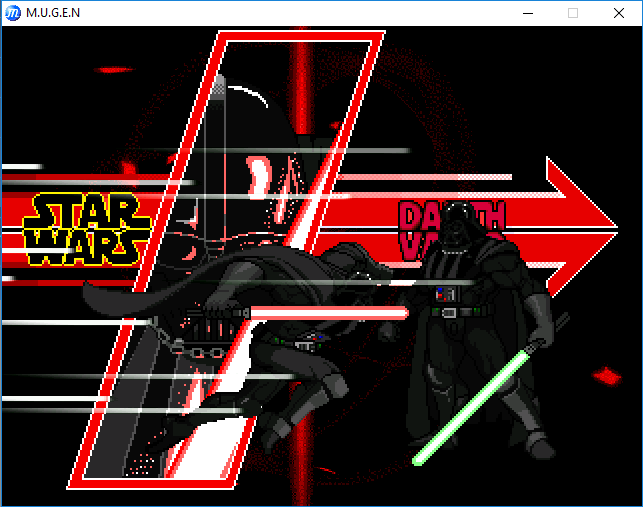 O Ilusionista has just revamped a Top Man with a new sprites and MUGEN A.I. 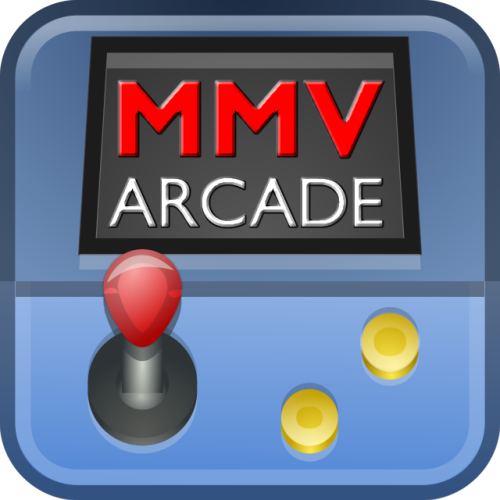 to bring you a whole new RMM experience in MUGEN! O Ilusionista has just revamped a Burst Man with bug fixes and MUGEN A.I. 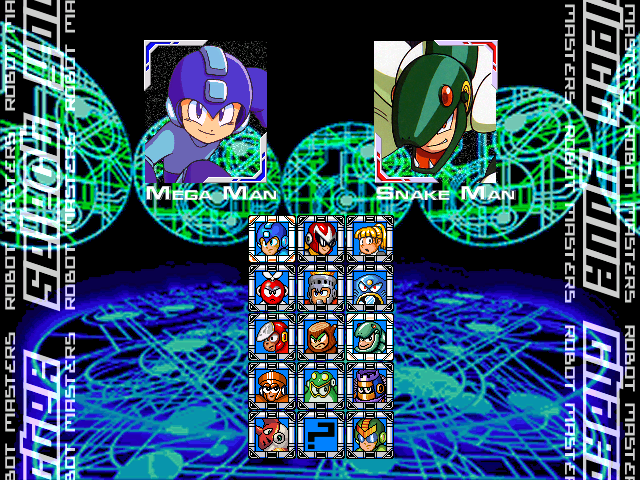 to bring you a whole new RMM experience in MUGEN! 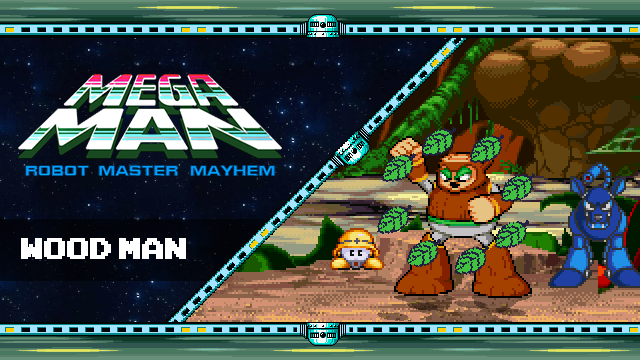 laspacho and O Ilusionista has just revamped a Wood Man with new MUGEN code to bring you a whole new RMM experience in MUGEN! laspacho and Acey has just revamped a Air Man with new MUGEN code to bring you a whole new RMM experience in MUGEN! 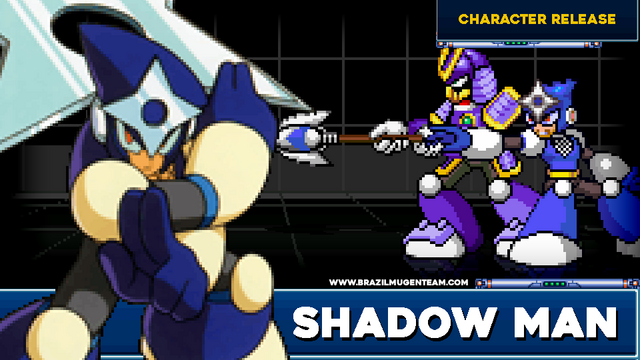 O Ilusionista has just revamped a Shadow Man with new moves to bring you a whole new CFAS experience in MUGEN! 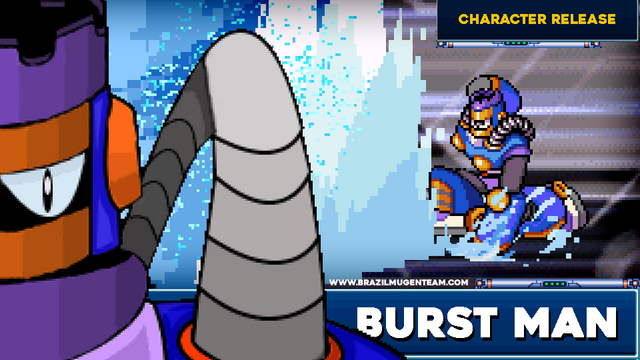 skhsato123's 2018 New Year MUGEN gift is a Crystal Frost! This is a DC Comics Killer Frost precrisis canon version! fede de 10 has just given the hot Elektra a final MUGEN update for this 2017 Christmas! More SEGA vs Capcom MUGEN fun by CVS Artist! Andywho has just made NRF's Echizen funnier! Check out chuchoryu's CvS Tekkaman now! Check out chuchoryu's CvS2 Reptile, Scorpion, Sub-Zero and Chameleon now! Check out chuchoryu's Street Fighter 5: CPSII Edition Ver 1.12 now! mugenized Avengers have just gotten a new Remixed Mansion by Kyoman! Check out chuchoryu's CvS chuchoryu 2018 edition now! bam77 updated and finished Darth Vader by AX! 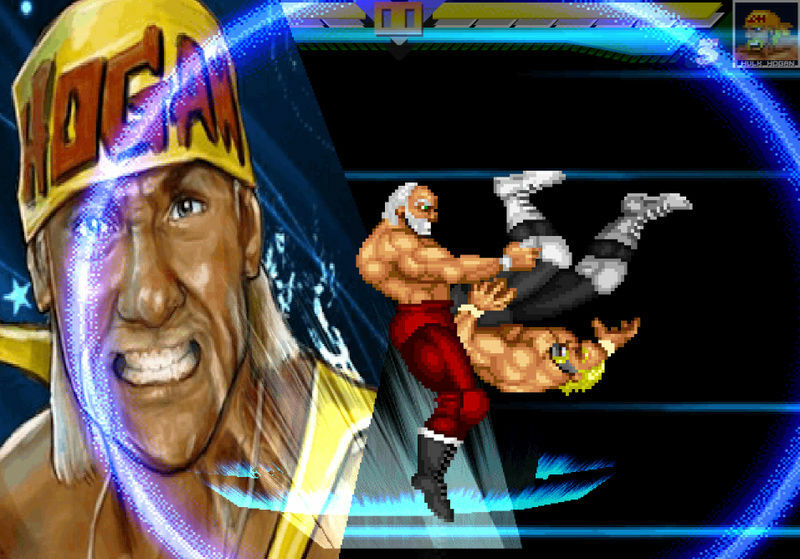 O Ilusionista has just revamped a Yellow Devil with new moves to bring you a whole new RMM experience in MUGEN! Rage has just released a Quint to bring you a whole new RMM experience in MUGEN! Dj luke has released a Madness in mountains 1.1 MUGEN stage, get it now! Capcomnator has just surprised us with his 2018 ANIMATED MUNDI MAP LOCATIONS STAGES! I just updated the topic top post a bit, by following Adminbot's previous style. * if you think this banner does not look good then please send (PM) me your version, it is OK to use your better version. Varia's Holiday Surprise! TWO BETAS! General Zod By skhsato123,carpa, shinning and brucewayne. Grab Blade's mugenized Nathan Spencer here now! Grab Blade's mugenized Albert Wesker here now! skhsato123 is the 1st first MMV Santa Claus from EGYPT! Hi Werewood can we contribute a Full game for this Christmas Event ? Me and Jonkk and Mulamboo just got done making a full game for this Christmas years. is okay to make a post and release the game for this special event ?? I should thank you more for giving us your 2017 Christmas MUGEN gift! 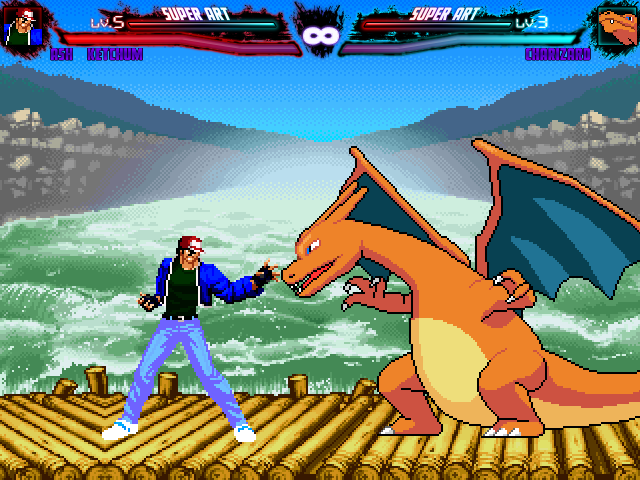 Just added your Super Cranky Fighters 2! A very BIG 2017 Christmas MUGEN gift man! 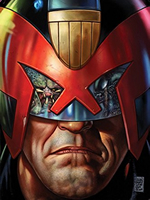 and my stage Knightmare On Crime Alley by Yolomate & MatreroG??? Hi guys! Merry Christmas to all!! !